Service New Brunswick has added LIDAR data to their free Data Catalogue [in areas of New Brunswick where lidar data has been collected]. 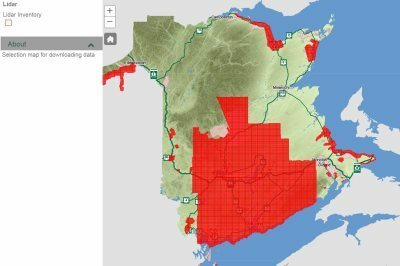 Today we thought we would feature the remarkable efforts that Service New Brunswick has been able to accomplish over the past few years at ensuring that their residents have access to good geographic information data sets as well as access to free online web mapping tools for those that are not fortunate enough to have GIS related software. In the process they have collaboratively created and maintained a Spatial Data Infrastructure (SDI) for the entire province of New Brunswick that they refer to as GeoNB. 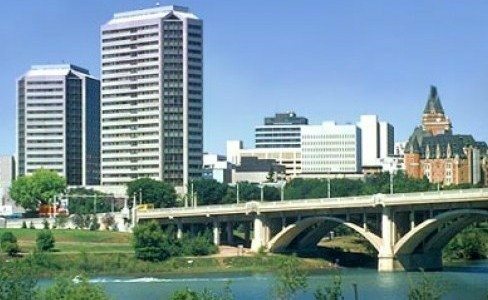 One of the many objectives of the GeoNB initiative is to facilitate the sharing of provincial geographic data and services among government departments, industry, organizations, academia, and the general public. 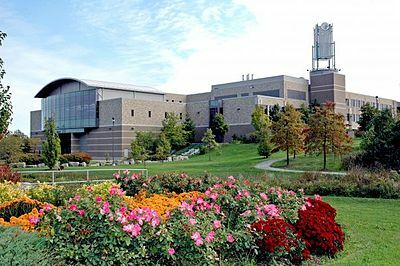 They pledge that they will continue to evolve and grow the SDI as needs change and intent to add various components to it over time. GeoNB currently includes several data sets featuring various components for the entire province (such as various regions, watersheds etc. more details below), digital topographic data layers, aerial orthophotos, civic data, property maps and much more. 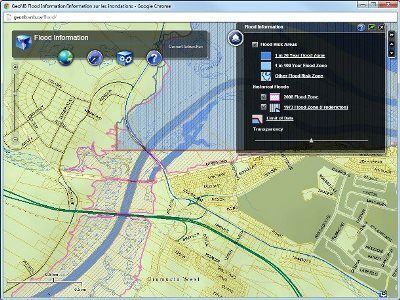 They also provide access to download these digital data sets in a variety of formats (see further below) for the most popular GIS software packages, provide a free online web map interface, and printable PDF versions as well. The GeoNB online map viewer [http://geonb.snb.ca/geonb/] is a very simple web application that provides people with the ability to view maps and aerial photos of New Brunswick using almost any web browser. 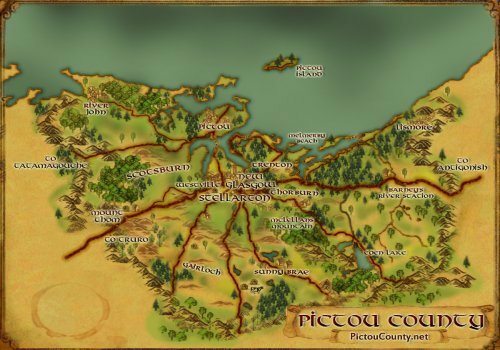 They were also creative enough to have also provided the ability for the end user to be able to customize the map viewer to display not only the region they are interested in but also the various data layers and tools that they wish to work with as well. The online map tool is powered by ESRI ArcGIS server functionality. ArcGIS Server services provides mapping and GIS capabilities via an Online ArcGIS interface with extensions that allow GIS functionality and several neat tools or widgets such as the drawing tool, the bookmark widget, overview map and much more. A print widget allows users to generate PDF versions of maps that they make, with titles and descriptions in either official language. There is also very good search and locate functionality on the web map allowing users to search by coordinates, text strings, as well as PID numbers. 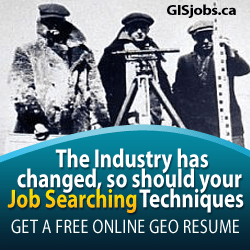 The GeoNB online web Map Viewer is amazing fast and contains high resolution orthophoto images for the entire province with much better detail then you will find with other free online mapping services such as MapQuest, Google Maps or Bing. It also contains other data sets that the competition does not have allowing you to customize your online mapping experience such as display your online property parcel data on an orthophoto along with flood data and other local layers, then print off your a customized map. To go even further then the great online web Map Viewer interface Service New Brunswick also offers free digital downloads of data sets for the entire province including enhanced topographic data, digital terrain models, orthophotos (1m & 4m resolution), property parcel data and provincial themes (business improvement areas, counties, federal electoral districts, parks, protected areas and many more). The data is also available in various popular GIS formats. 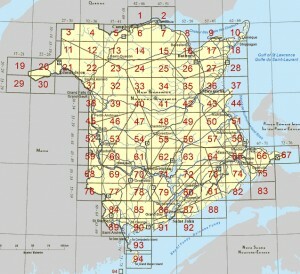 Digital Topographic Data Base (DTDB) is a digital representation of topographical natural and cultural features of New Brunswick, organized into 94 map tiles and split into two databases: 1) the Digital Terrain Model (DTM) set and the Enhanced Topographic Base (ETB) set. The map tiles are organized into 1:10,000 sections of the data encompassing 0.1 degree in longitude (7.5 km) by 0.05 degree in latitude (5.5 km). The ETB consists of geographic features (roads, lakes, rivers, buildings, etc) in point, line and polygon formats used to create planimetric maps. It contains attributes and descriptive text for some of the features. The DTM is a digital representation of elevations and have been tiled to match the same 1:10,000 windows as the corresponding ETB map sheet. The DTM files contain elevation mass points, check points, and spot heights so no attribute information is included. The Spatial Reference System for the data is NAD83 (CSRS) in New Brunswick Double Stereographic projection. New Brunswick Double Stereographic projection is used because it best represents the shape of the province. It is a conformal projection that provides higher accuracy, reasonable distribution of error, single zone solution and secant azimuthal. The spatial resolution of the data is 1 m (4 m in tiff orthomap formats) X, Y and 0.1 m in the Z. They state an accuracy of +/- 2.5 m for well defined features on the SNB website. The ETB files are available in Autodesk data exchange format (DXF), CARIS GIS ASCII format, or ESRI shapefile format. The DTM files are available in CARIS GIS ASCII format or as a XYZ Text File. The CARIS file contains: Elevation mass points, check points, and spot heights, the XYZ text file contains: positional coordinates and elevation values for mass points, check points, and spot heights. The Provincial themes are part of the New Brunswick Administrative Areas Data Base. These layers include layers such as counties and parishes, environmental & conservation boundaries, political boundaries and much more. For more information on the Provincial Themes, or any of the other data sets mentioned here see communication section about the Geographic Data & Maps at the Service New Brunswick web site. So if you are looking at generating maps related to the province of New Brunswick then I recommend that you check out these data sets as they will provide a stable building block to build a decent GIS with. And if you are not interested in doing any GIS work with New Brunswick data sets, then at least check out the GeoNB online web Map Viewer. Your contact form page has some errors and is not working. It looks like the captcha is causing the problem. Bernie, thanks for the update! thanks for the feedback, code has been fixed. For some reason the program will not open on the iPad or iPhone. Any chance there’d be an app in the future? Esri has released native apps for iOS, Android, and Windows Phone. Go to the app store and search for an app with “ArcGIS” in the title. Install the app published by Esri. Once the app is installed search for maps with “GeoNB” in the title. This won’t give you all of the functionality found in the GeoNB map Viewer but it will give you access to the GeoNB map data. That is great to hear, the folks at GeoNB put a lot of work into their site and the GeoNB map Viewer. There is a new article is in the works about their new updated site, witch should be posted shortly in the new year.